The gang grabs a favorite beverage and discuss whatever they would like. Talk about a smorgasbord of geocaching good times. What is the single most revolutionary (person, experience or thing) you have witnessed within your history of geocaching? SB: Geocaching Vloggers 40th birthday! What did you do with your Mary Hyde code? 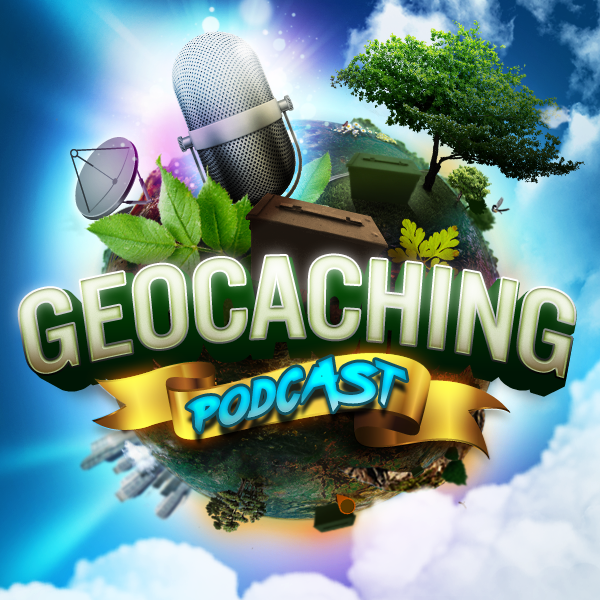 TAZ: Your favorite geocaching experience: An Event, A trip, A geocaching trail, A specific geocache. INFO: If you’re going on a road trip with one or more friends, how do you split the costs? Equal shares? Driver has the running costs of the car, so the passengers buy petrol / lunch / coffees etc? Something else entirely? What do you do if someone else joins the group for the day? Not sure there’s any one correct answer, but I thought it would be interesting to discuss. It’s a great way to plan geocaching outings with your friends. A good way to ask a friend for suggestions about the best geocaches in your area. You can get a hint from the cache owner for an especially tricky hide. And, because the Message Center is available in the Geocaching® app, you can submit your answers for Virtuals and EarthCaches right in the field. We know that geocaching is better when players communicate with each other so we wanted to make that easier. The challenge, after all, should be in the adventure and not in the tools you use. That’s why we took some time to update and improve the Message Center. It is good to see that the podcast has resumed after being in hiatus. InfoFerret seems to have had quite a time traveling in Europe, and I too am surprised at the amount of vacation time she earns. Hopefully the smoke from the California wine country fires is no longer an issue for Taz, One day I walked out of a building and the smell of that smoke was instantly noticeable, even though I would have to drive for a few hours to reach the area. I hope to see you again soon, but don’t let the show stress any of you out. So glad you guys are back– I’ve missed you! I was listening to this week’s and heard Chad talking about the new geo-checker. He had a complaint and also a point about challenge caches. His complaint was about the format of the checker and not being able to easily copy and paste into the “Personal Notes” section. He is right, and this is annoying. However, when you get a positive answer from the checker, it updates the “Corrected Coordinates’ on the page (the equivalent of hitting the little pencil next to the coordinates). It’s not a perfect solution, but you can easily copy these and paste them into your personal note. The other comment he made was about how it would be nice if there were some marker for challenge caches or other caches that perhaps are “mystery”, but are at the posted coordinates (field puzzles, for example). He talked about changing the number by one small digit and that can certainly work. However, I’ve found you don’t have to change it at all. If you copy the posted coordinates and save them as “corrected coordinates” (By clicking the little pencil) it will look to the geocaching site like they are “corrected”. They will be displayed as “corrected” on the page (in italics) and more importantly, show the new “Corrected” icon on the map (Both online and in the Groundspeak app). I’ve been working on a “mystery cache” streak for a bit and found this was invaluable in keeping track of the ones that were “ready to go”. It’s an easy way to see them while you’re scouting the map. Hope that helps. Keep up the fun shows!